The City Park is located at Broadway and Clay between 7th and 8th street. Playgrounds are located on both sides of the park with parking available on both Broadway and Clay Streets. The smaller playground now has ADA approved surfacing and a safety swing is located near the small playground. There are now new sidewalks linking all of the playground equipment at the park. 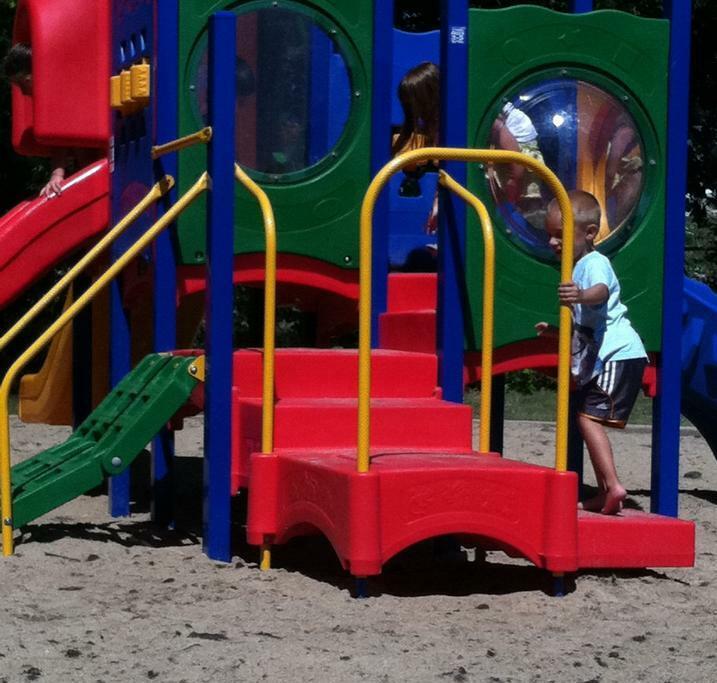 The Large playground and other equipment have new rubber ground cover. The City Park is open year round during the hours of 7:00 a.m. until 11:00 p.m., except for the tennis courts and ball fields, which are excluded from the 11:00 p.m. closing hour. 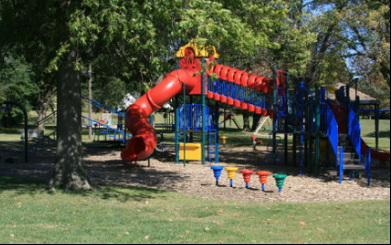 The City Park includes two separate playgrounds located on either side of the park with access from Clay or Broadway Streets. The playground equipment includes swings, several slides, a large climbing gym, and merry-go-round. There are two lighted tennis courts and basketball courts near Broadway on the east side of the creek, which can be crossed by way of the walking bridge in the middle of the park. A sand volleyball court is near the swimming pool and can be easily reached from the pool parking lot entrance off of Clay Street. There are two large and three small picnic shelters located within the park. These may be utilized on a first-come-first-served basis. No reservations are accepted. The City Park includes restrooms and a handicapped accessible water fountain. Several benches are located in shady areas for resting or visiting while your children are at play in the park. The city swimming pool is also located on the east edge of the park and its parking lot is accessible from both Clay Street and 8th Street.